Perth Pest Control’s famous 10 year termite barriers are second to none in Australia! 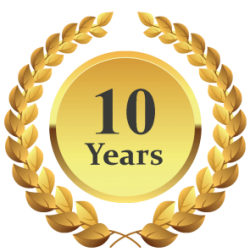 Firstly we will warrant installed Biflex or Termidor termite barriers for 10 years on an annual basis. Why an annual basis? . . . because the life of the product is one thing but man made homes is another so in the unlikely event that termites breach a barrier, the Building Code of Australia and the Department of Employment and Consumer Protection of WA recommend a maximum interval between inspections of 12 months. As a responsible, fully insured company we follow these recommendations. Our annual inspections with written report and full warranty have (without being locked into a contract) a fixed ‘no rise in price’ feature for the first 5 years and only CPI adjustments the following 5 years. If any roof timbers are damaged by termites, they will be repaired or replaced by a licensed tradesman at no charge to you. If termites breach our barrier and enter the interior of your home, we will eliminate the Queen and termite colony with the Sentricon Professional Baiting System at no charge to you. If you find termites in your yard at any time throughout the period of the warranty, we will treat them at no charge to you. Call us, or send a quote request for a free no-obligation on-site appraisal NOW!. We promise no high pressure sales tactics only WA Health Department licensed consultants, clear precise paperwork and fully insured by QBE Insurance at all times. Our trademark above says it all. As a clear no nonsense warranty is the only indicator of how well a job is done and that the company stands behind that job.